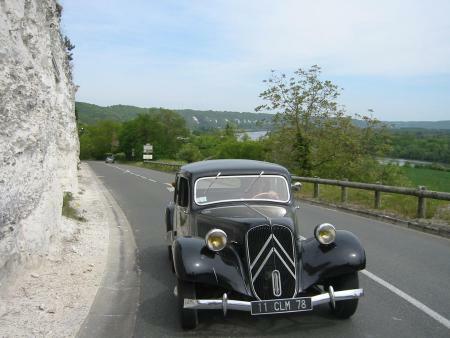 Discover Giverny's country in a Citroen Traction ! Let you be chauffered in a mythic car, the Citroen Traction. This car dates back to 1952. Ideal for a lovers or a friends drive (4 passengers maxi), at a slow rhythm, as if you were back in the past. Your chauffeur will tell you the story of the car and of the places you will discover. You we’ll be charmed by the cultural treasures of this country and by the splendour of its landscapes which have inspired the most famous impressionist painters. 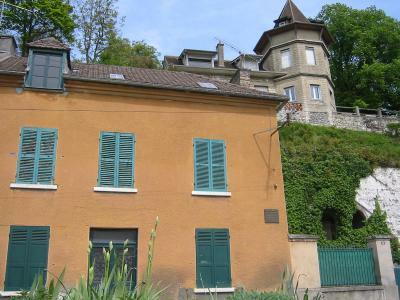 Departure from Giverny or Vernon, for instance at your hotel or B&B. A la carte roundtrip on request. This drive will take you to the sites that have inspired Claude Monet when he founded the impressionist trend. 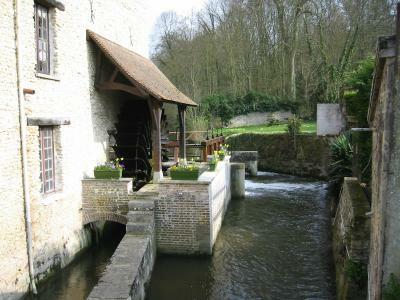 Giverny’s country, with the Seine and the Eure valleys, is full of old and beautiful mills, very different ones from the others. We will guide you to their mysteries and splendours. This circuit will drive you to watermills in Vernon, Cocherel , Croisy sur Eure, Fourges. For the ones who love castles, we will drive them to the prestigious mansions of Giverny’s country and tell about their histories. 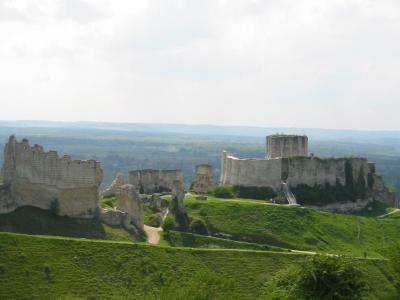 This circuit will drive you to Gaillon, to Les Andelys (Château-Gaillard, Richard the LionHeart headquarter), to La Madeleine and to La Roche-Guyon and its splendid donjon.